Awards: Won 3 Primetime Emmys. Another 34 gewonnen & 89 nominaties. Deep in the universe, cybernetic Cylons have all but wiped out the human race, laying waste to the Twelve Colonies of Man. 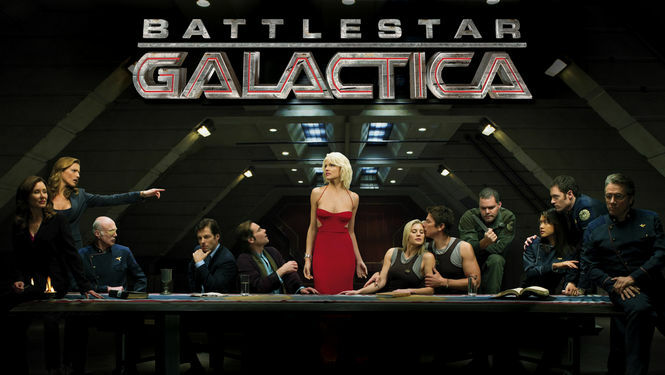 Cast out, the few survivors aboard the Battlestar Galactica search for a so-called 13th colony: the mythical planet Earth. Geef battle star gelactica serie terug ajb en als het mogelijk is de film en of oude serie? ?